The apostle John saw what was happening at the cross when Jesus was crucified. He was an eyewitness to Jesus’ death. A few moments before His death Jesus declared, “It is finished!” (John 19:30). It is one word in the Greek and can be translated, “Done!” “Finished!” or “Completed!” The entire redemptive work of Jesus Christ was finished. The Son gave His report to the Father in a loud voice so all mankind could hear it, and then He went home to the Father having completed the Father’s will. Jesus did not say, “I am finished.” In essence He said, “It was finished and as a result it is forever done.” “It stands finished.” “Done.” The idea is that of perfection, accomplishment, relief, satisfaction, and victory. All the accumulated sin, and guilt, of all men, of all time, guilt of all time, including the combined hells of all who have offended God, was paid in full by His death. The death of Jesus Christ completed the redemptive work. The Lamb of God has made His great sacrifice for the world. It is this that is now done. Our great Substitute paid the great ransom, paid it to the uttermost cent. "It is finished" indeed! There is nothing that can be added to the atoning sacrifice of Jesus Christ. Our atonement was completed in the moment of Christ’s death for our sins. All of the righteous demands of the law of God against our sins were paid in full and satisfied in His sacrifice for sin. The punishment of our sins and the satisfaction of the righteousness of God meant that God was now free to offer the believing sinner His own perfect righteous standing before God based upon grace alone (2 Cor. 5:21). At the heart of the death of Jesus Christ is our atonement. The payment was paid in full. God declared, “It is finished!” You and I can never make satisfaction for our sins, no matter how religious we may think we are. You and I can never contribute to our salvation in the least degree. “It is finished!” We cannot add in the least or the greatest thing to His finished work. You cannot atone for your sins committed before or after baptism. You cannot atone for your “temporal” sins. You baptism will not save you. Only God can forgive sins. 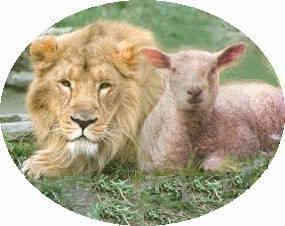 Only the death of the perfect Lamb of God can cover your trespasses against God. The moment you add one thing to the finished work of Christ you destroy it. To require the sinner to contribute to his own salvation in some measure only contributes to his eternal damnation. The satisfaction of Christ is the only satisfaction for sin. The perfect sacrifice of Christ is so perfect and final that it leaves no possible liability for any sin of the believer. “It is finished!” declared Jesus Christ. “Finished!” Done! Complete! The apostle Paul declared, “There is now no condemnation for those who are in Christ Jesus” (Romans 8:1). Have you experienced that deep sense of peace with God? Do you know all your sins are forgiven? No condemnation! We have already been judged for our sins at the cross and Christ died for us. We were condemned. We were declared guilty and Jesus drank every drop of our condemnation and died for us. “For while we were still helpless, at the right time Christ died for the ungodly” (Rom. 5:6). “But God demonstrates His own love toward us, in that while we were yet sinners, Christ died for us” (v. 8). The believing sinner has “now been justified by His blood” (v. 9a). “We shall be saved from the wrath of God through Him” (v. 9b). The reason for this great assurance of salvation is the redemptive shedding of His blood, done once for all, is finished and stands finished forever (Heb. 7:27; 9:12, 16; Rom. 6:10). "It is finished!" shouts Jesus our Savior. Have you confessed to God that you are a sinner and that you deserve eternal condemnation? Have you believed in the death of Jesus and what He accomplished for you in that death has satisfied the righteous requirements of God to save you for all eternity? It is not what we bring in our hands; it is what Christ has done in His hands that save us. The only thing left for you to do is believe on Christ. The finished work of Christ is absolutely sufficient to save you and keep you saved.